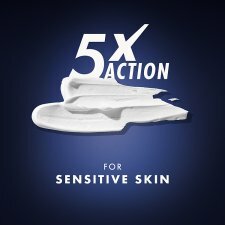 Gillette Fusion5 Ultra Sensitive men's shaving foam features Ultra Comfort Complex, which cools to soothe and helps protect skin during the shave to leave it feeling clean and comfortable. 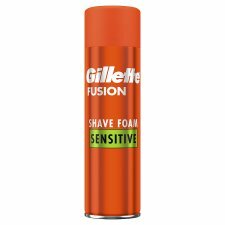 This shave foam is suitable for sensitive skin and provides incredible skin comfort. 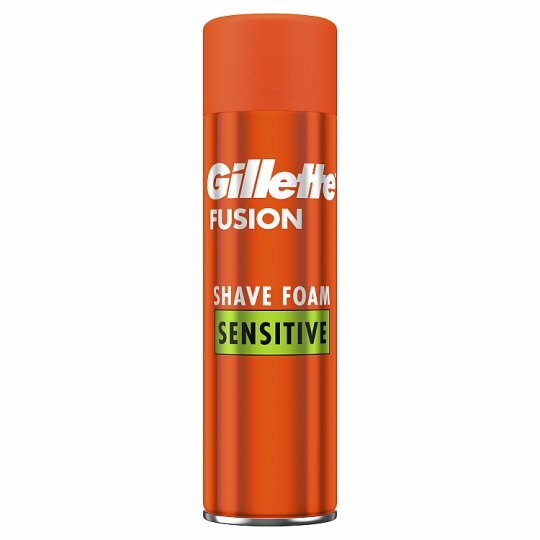 Use with a Fusion5 razor for comfort before, during and after the shave. Pressurised container: May burst if heated. Keep away from heat, hot surfaces, sparks, open flames and other ignition sources. No smoking. Do not pierce or burn, even after use. Protect from sunlight. Do not expose to temperatures exceeding 50°C/122°F. Keep out of reach of children. 3.24% by mass of the contents are flammable.